Some jobs are just too tough for your average, fast-talking high-tech gun-for-hire. Sometimes - to get the job done right - you need someone crazier than a sack'a ferrets. 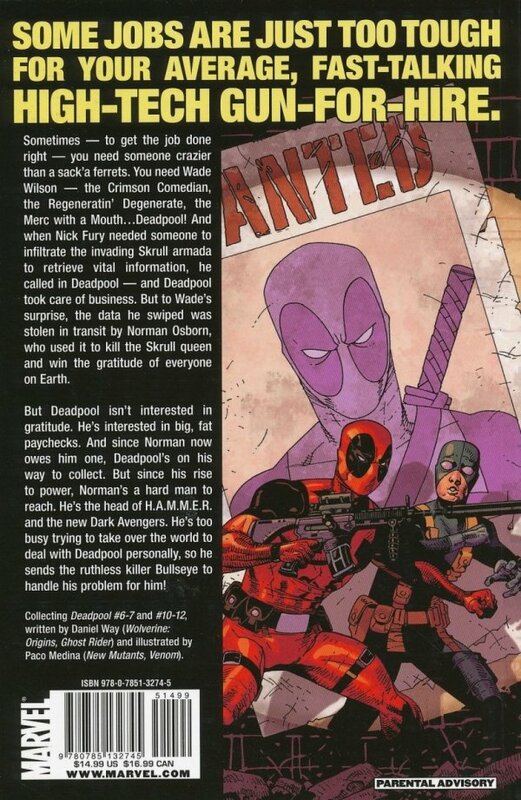 You need Wade Wilson - the Crimson Comedian, the Regeneratin' Degenerate, the Merc with a Mouth?Deadpool! And when Nick Fury needed someone to infiltrate the invading Skrull armada to retrieve vital information, he called in Deadpool - and Deadpool took care of business. But to Wade's surprise, the data he swiped was stolen in transit by Norman Osborn, who used it to kill the Skrull queen and win the gratitude of everyone on Earth. But Deadpool isn't interested in gratitude. He's interested in big, fat paychecks. And since Norman now owes him one, Deadpool's on his way to collect. But since his rise to power, Norman's a hard man to reach. He's the head of H.A.M.M.E.R. and the new Dark Avengers. 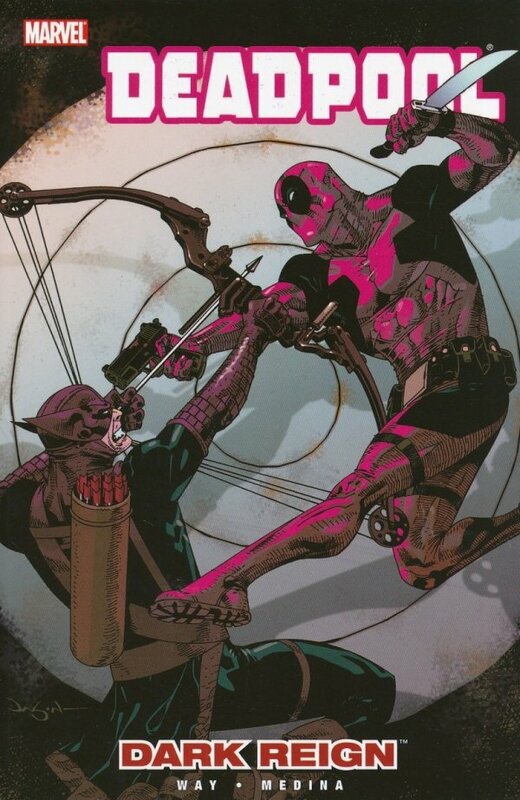 He's too busy trying to take over the world to deal with Deadpool personally, so he sends the ruthless killer Bullseye to handle his problem for him!